Eating peppers — which are in the same botanical family as tobacco — may reduce the risk of Parkinson’s disease. The findings are reported in the May 9 edition of the Annals of Neurology, a journal of the American Neurological Association and Child Neurology Society. Nearly one million people in the United States are living with Parkinson’s disease, a neurodegenerative disorder that results from the loss of dopamine-producing brain cells. In early stages, Parkinson’s is characterized by difficulties in controlling movement. Initial symptoms include hand tremors, limb rigidity, and problems walking. As the disease progresses, cognitive problems may develop and advance into dementia. Dietary sources of nicotine may prove protective. 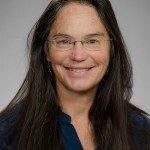 “Eating peppers twice or more per week was consistently associated with at least 30 percent reduced risk of developing Parkinson’s disease,” said the study’s lead author, Dr. Susan Searles Nielsen, a research scientist in the Department of Environmental and Occupational Health Sciences at the UW School of Public Health. The investigation of dietary sources of nicotine stems from the puzzling epidemiologic findings that repeatedly show that people who have regularly used tobacco have about half the risk of developing Parkinson’s disease, explained Searles Nielsen. In 2012, she published a study that suggested that second-hand smoke also might reduce risk of the disease. The subjects interviewed for the study included 490 Parkinson’s patients newly diagnosed at the UW Neurology Clinic or Group Health Cooperative between 1992-2008. The control study subjects were 644 unrelated, neurologically normal people. While she and the study co-authors investigated the association between Parkinson’s and the subjects’ dietary consumption of a variety of vegetables, including nicotine-containing peppers, tomatoes, and potatoes in the Solanaceae family, peppers showed the greatest protection. The decreased risk of disease grew stronger with increasing pepper consumption and occurred mainly in people with little or no prior use of tobacco, which contains much more nicotine than the foods studied. Searles Nielsen cautions that further studies are needed to confirm these findings and explore whether a similar but less toxic chemical shared by peppers and tobacco might be equally or more protective than nicotine. Study co-authors included Dr. Harvey Checkoway and Dr. Gary Franklin from the UW Department of Environmental and Occupational Health Sciences and Dr. W.T. Longstreth and Dr. Phillip Swanson from the Department of Neurology in the UW School of Medicine. 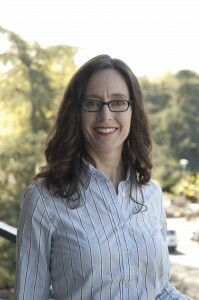 Funding for the study was provided by the National Institute of Environmental Health Sciences, in part through the UW Superfund Research Program.